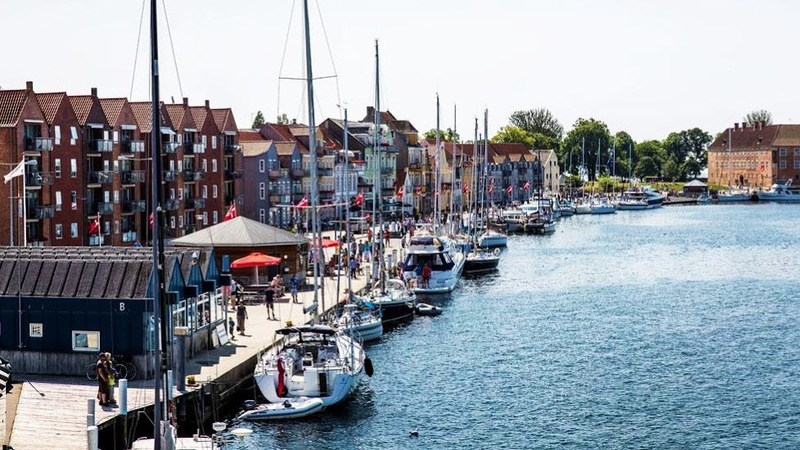 In this week’s “Sailing in Denmark” we would like to introduce you to a wonderful and charming marina in Jutland. 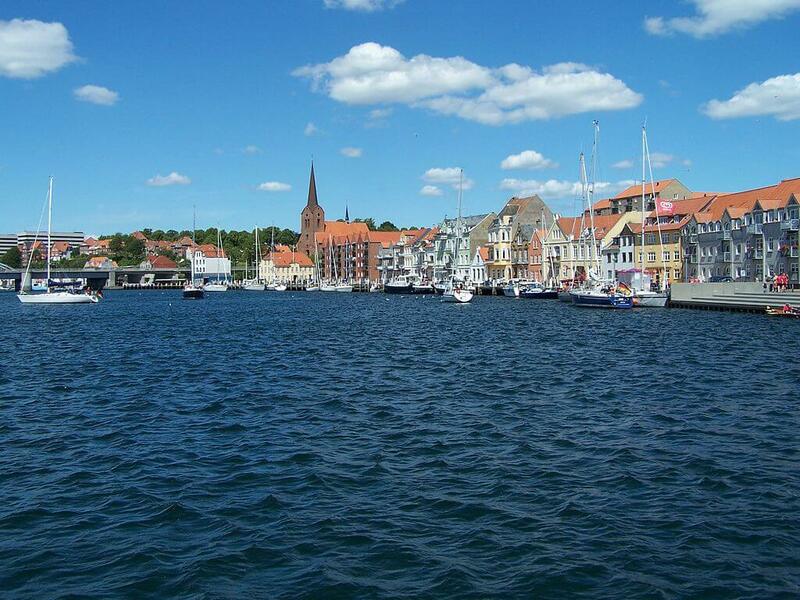 Sønderborg is located in Southern Denmark, around 20 minutes drive from the German border. The town is divided on both sides of the Alssund, with Jutland the peninsula on one and the island of Als on the other. The marina is on both sides, so you can either see the historic city centre or the beautiful castle on the Als side. Sønderborg Havn is a beautiful marina in the heart of Sønderborg. It is stretched along the city centre, close to King Christian X’s Bridge, which goes up every half an hour to let the boats go into the marina. 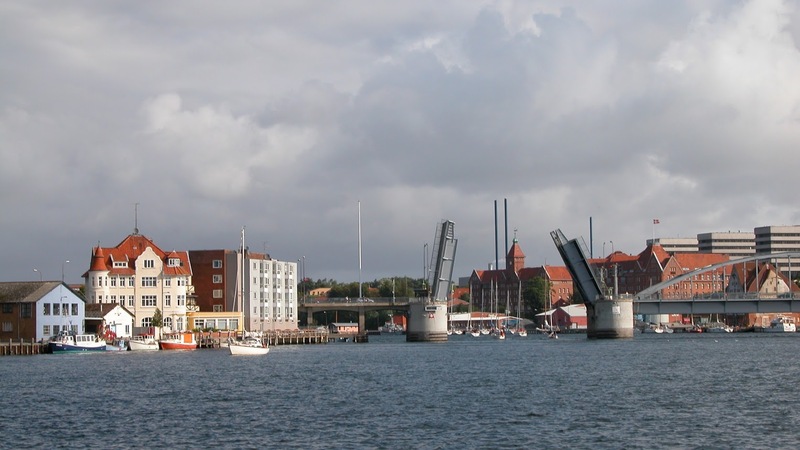 The boats lie along both sides of the bridge, opposite of typical Danish houses with colourful facades or with a view of Sønderborg Castle. There are guest berths available as well, maybe one of them will be yours at the next sailing trip to this wonderful city? 🙂 You can pay with the HarbaApp after you have docked your boat in the marina. 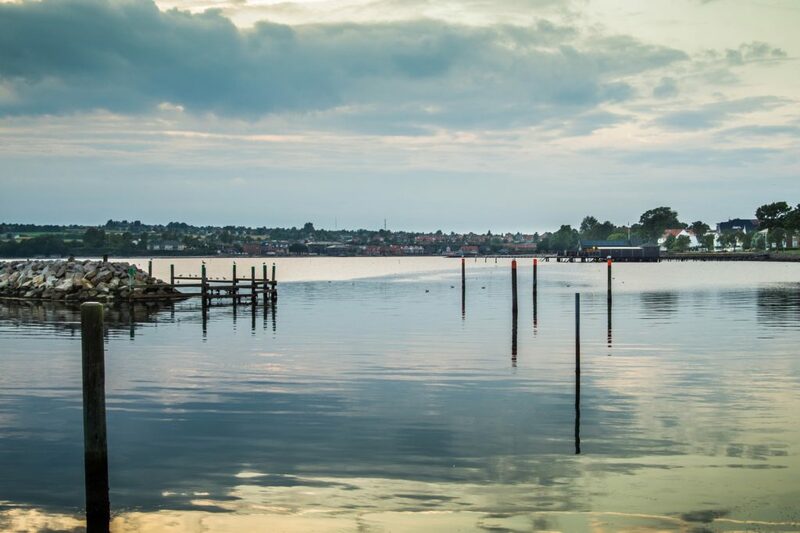 Right at Sønderborg marina you will find the historic castle by the water. 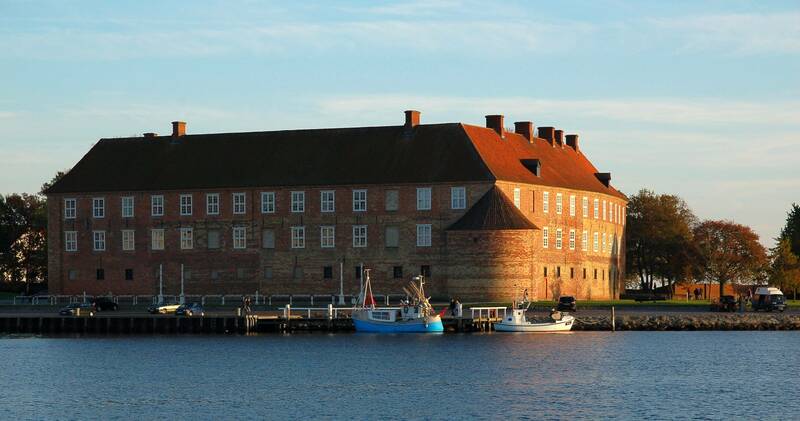 Build in the 12th century, it had the purpose of protecting the side of Southern Jutland from outside attacks. The castle is surrounded by a castle wall and it is very close by the beach. We would recommend a visit if you would like to get an insight into the city’s history. Right opposite the marina you can discover Alsion, a building with an impressive architecture that houses an university, a concert hall with amazing acoustic and a lot of business offices. If you have the time, you should go visit a classical concert in Alsion. 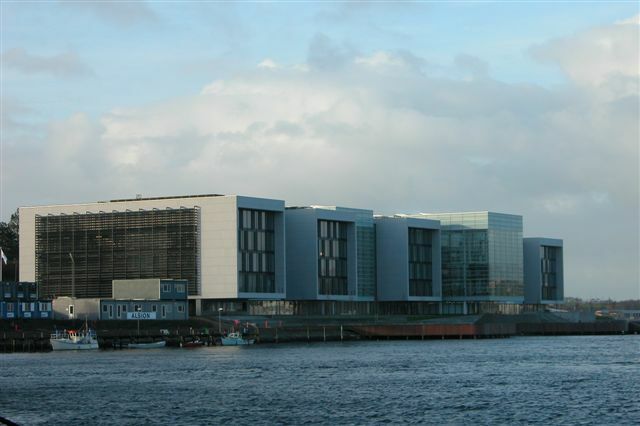 You can also go into the building during the day and enjoy a nice cup of coffee with a beautiful view, since the Alsion is located right at the waterfront, facing the city. The new modern shopping center offers many shops over 3 floors. You can find any kind of shops and boutiques in there. In case of a typical Danish rainy day, you can spend your time at the shopping center, which is just a short walk away from the marina and the bridge. There are many restaurants just around the marina and in the city center. There is a big variety you can chose from! You can find Danish, or international restaurants, including Argentinian, German an Asian cuisine. If you are just looking for a small snack, you can also find little bistros and cafés close by the marina. As you can see, your cravings for international food will be fulfilled here. Just a few meters from the marina away you will find the beautiful beach with soft sand and blue water. Personally, we don’t think there is a better way to spend your day than with a walk at the beach and maybe going for a swim if the weather is nice or just enjoying the view of the sea and the boats that are passing by. Doesn’t it sound wonderful? 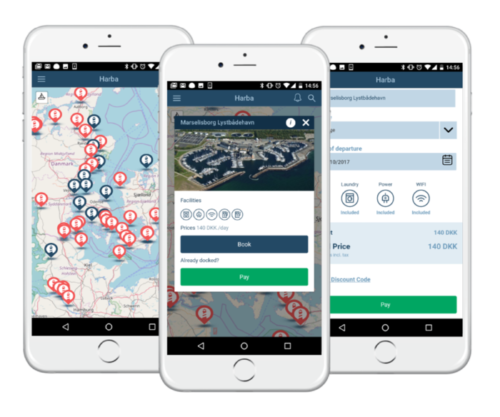 Pay for your berth or mooring at Sønderborg Havn with HarbaApp – a free mobile app for boaters.